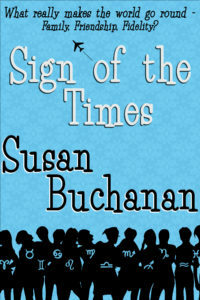 Today I am part of the blog blitz for The Christmas Spirit by Susan Buchanan: I interviewed her! There is also an INTERNATIONAL giveaway going on for some ebooks. Be sure to check that out! Hi Jessica. Well, I’ve written four books and am actually in the middle of two more. I live near Glasgow with my husband and two cherubs, one of each. I juggle the monkeys and my proofreading and editing business, although I now have a dedicated writing day, which should mean more books in the future. I love the theatre, quiz shows, fine dining (well, food, generally!) and movies. Did I forget books?! Yes and no. I have written stories from an early age, but life has a habit of getting in the way. I actually wanted to be a linguist when I left school and went to uni and did a Masters in French and Hispanic Studies, then worked in European and International Sales for many years. When I was made redundant a few years ago, my then boyfriend (now husband) suggested I try to publish the book I’d been writing on holiday for about six years! JRR: And now you have written four books with more to come! What inspires you to write? Everything and anything. It can be a chance remark I overhear in a café or in a conversation with a friend. It can be a person. I have some clients who work so hard that they put me to shame and I think ‘right, no more procrastinating, I will write today’ or it can be the germ of an idea. JRR: So be careful where you are in public, you never know who may overhear you and use what you say for a book! 😉 Now, what does your writing process consist of? Do you research, do you handwrite or type, do you have music playing or need silence? I handwrite only when I am without my laptop. Yes, writing by hand is nice, but a) my writing is awful – like a doctor’s and b) it just means I need to type it into the laptop later. When I am out and about, I do use my notebook, but more for planning out scenes and capturing ideas. I research a lot. I hate inconsistencies and now as an editor of other people’s books that has become even more important for me! I don’t usually have music on but if I do it’s classical. Too long a list, but basically, write; write whenever you can; don’t give up; write what you love; write something you’d want to read. Don’t be afraid of not being good enough. There are ways to help you improve. No one gets it right first time. Hmm. I don’t really have a favourite as I can’t choose between my top four or five. I will buy any new release by Jill Mansell, Carole Matthews and latterly by Holly Martin and Cathy Bramley, but I keep finding all these new authors that I love. My favourite author was the late Maeve Binchy. Her books and the way she wrote lovely, warm characters inspired me to write. And Enid Blyton’s stories made me want to always keep my imagination and believe in the magical. Rupert Penry-Jones (he’s lovely! ), Queen Victoria (I reckon she was a lot softer than they made out) and Maeve Binchy (reasons above). Anything by Jane Austen and Dickens. I’ve only read Pride and Prejudice and A Christmas Carol. JRR: What is it like to write Christmas stories vs stories that take place at other times of the year? Do Christmas stories seem ‘magical’ to you? I love writing Christmas stories. It is funny though writing about snow and decorations and mulled wine in July. I do feel that Christmas sparkle and smile to myself as I write (I know I do, I can’t help it!). Christmas is about spreading goodwill and my characters tend to need a bit of help around Christmas, so it warms my heart to be able to make that happen for them. And I love writing about all the Christmas traditions around the world. JRR: Where did you get the idea for The Christmas Spirit? Which character was your ‘favorite’ to write? I think I had a dream that inspired it. Natalie, the protagonist, was my favourite, although I did love writing Stanley, the old man, and Meredith was such a horror! Loved writing her too. You’ve only got one life so live it. 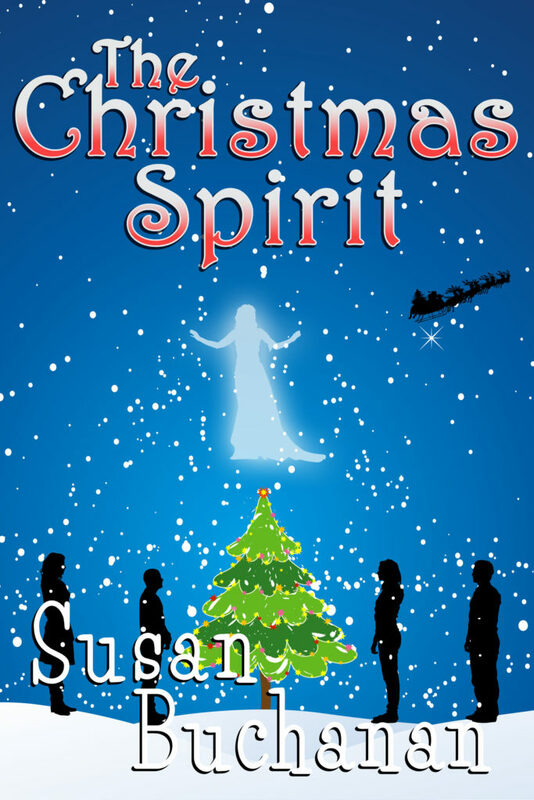 There’s a second book out, related to The Christmas Spirit, aptly named Return of the Christmas Spirit. And I hope to release The Proposal and Just One Day in the first half of 2019, with perhaps a Christmas-themed book for this time next year. Merry Christmas everyone! Hope Santa’s good to you! JRR: A second book! How exciting! And more from you in 2019! I look forward to it! Thank you for your time with this interview. 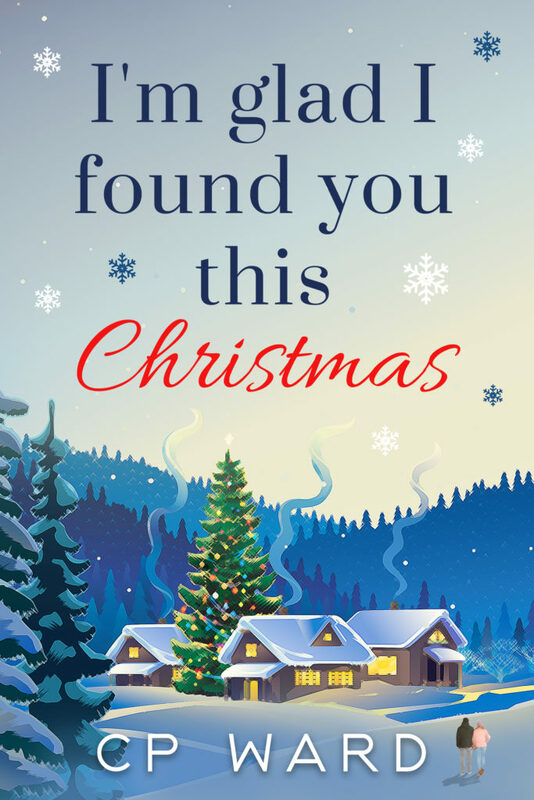 Today I am part of the blog blitz for I’m Glad I Found You This Christmas by CP Ward: I interviewed him! 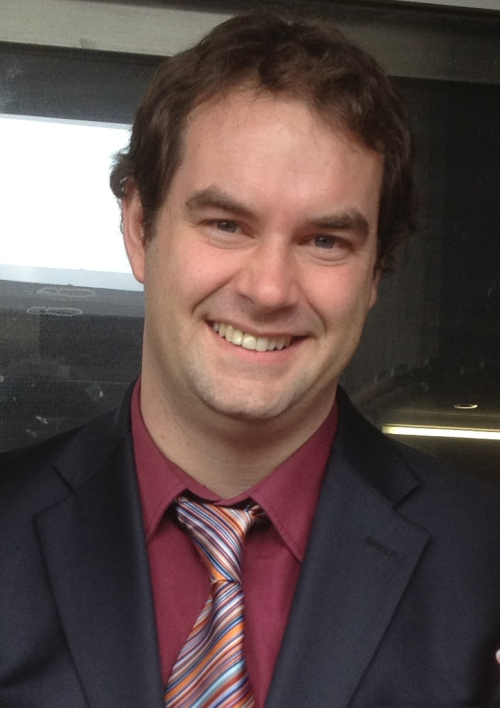 My name is Chris Ward, I’m 39 years old (nearly 40!) and I’m from Cornwall in the UK. For the last 15 years I’ve been living in the mountains of Japan, where I work full time as an English teacher. JRR: Japan: Nice! My hubby wants to visit there. Now, did you always want to become an author? From as young as I can remember. I started writing little stories at the age of 5 or 6, then began dreaming of superstardom during my early teens while typing away on my dad’s battered old typewriter. JRR: That could be the best way to come up with a story( What if this happened?). What does your writing process consist of? Do you research, do you handwrite or type, do you have music or need silence? 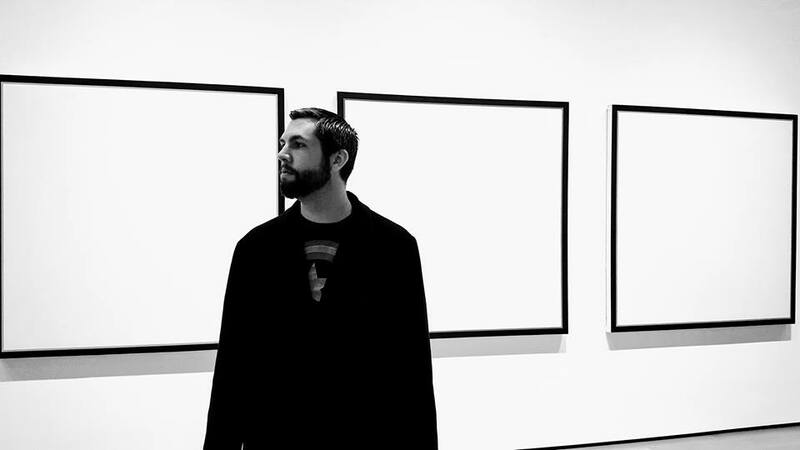 I write in multiple genres and in a variety of different ways. In general, I write in the mornings, to as much silence as I can get, and on a battered old laptop with the internet connection deleted. Since my daughter was born two years ago, very early mornings – I generally start around 4.a.m, write until she gets up, then go to work and steal a little time on the clock if I’m not busy. If I’m awake after my daughter goes to sleep (rarely) I do a bit of marketing stuff. My process depends on the type of book I’m writing. I prefer to make it up as I go along, but especially for series books I plan them more in advance. Some, like my mystery pen name (Jack Benton) I write them intentionally on the fly. That makes the plots more difficult to figure out. As for research, I do it as I go along, usually by watching YouTube videos or using the Internet. Currently, Gillian Flynn. Everything she writes is genius. Historically, Iain Banks. I’m also currently partial to a bit of Mark Edwards, although I pick books and authors at random and there’s no one I’ve read comprehensively. To be honest, there was no writer who inspired me to become one. I can’t even remember what I used to read when I was very young. Whatever was in the school library, I guess. In my teens I got big into Stephen King, but I was also a fantasy nut, reading loads of fat long books by people like Robert Jordan. JRR: I read Stephen King as a teen as well. If you could have dinner with three people (living or dead) who would they be and why? My grandparents, because I miss them, and my two-year-old daughter, because I’d like my grandparents to have met her. The Cat’s Table by Michael Ondaatje. I bought it about a week before I got my Kindle. It’s been sat around on my table ever since, and I’ve got to page 14 about fifteen times. JRR: I’m Glad I Found You This Christmas is different from the books you usually write. What made you decide to write it? Simply because I love Christmas. I always wanted to write a Christmas book, and I finally got around to it. 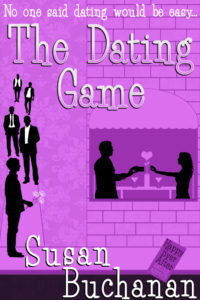 JRR: Women tend to write ‘sweet romance’ books. How did you feel about writing this type of novel? It’s not the first romance I’ve written – I have three mystery novels which have a romantic subplot (although darker), and I’ve written some romantic short stories. In general, though, I can turn my hand to anything. 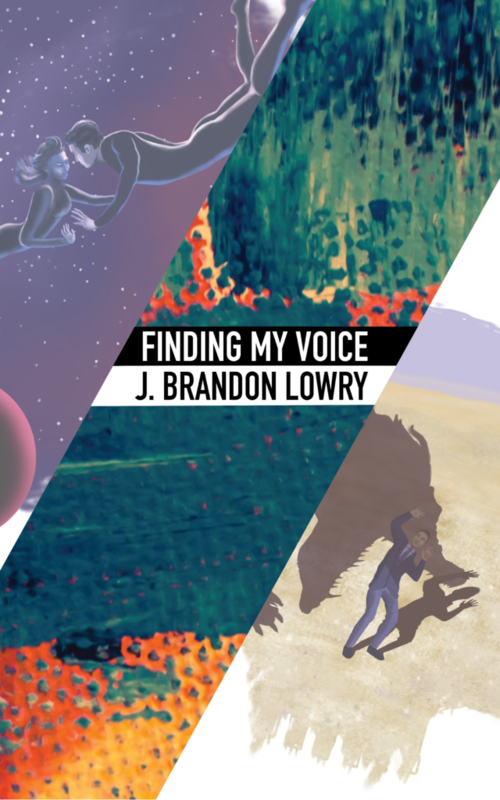 I started publishing in 2012, and got pigeonholed into SF for commercial reasons, but in the years before that I only ever wrote standalone novels, and each in a different genre. I was strictly opposed to writing the same book twice, and even now I struggle to maintain my interest past three or four books. I generally don’t read series for the same reason, although I probably would if I had more time. I like to get a complete story when I buy a book. JRR: Is Christmas your favorite holiday? What made you pick Christmas as the time of year for this novel? It’s absolutely my favourite. I’m a teacher by profession, and a foreigner in Japan, so every year I end up getting the suit on and going round all the kids parties, churches, schools. It’s a lot of fun. Christmas in Japan is a poor imitation of Christmas in Western countries, so part of it is nostalgia because it’s over by midnight on Christmas Eve as everything turns to the New Year celebrations that we have out here. JRR: Sounds like you have a lot of fun every year at this time! Is there anything else you would like to share? Thanks to everyone who’s taken a chance on my book. I hope it will warm your heart. And if you like it, please let me know.